In the upper left corner, the video input of the 8 animals is shown. 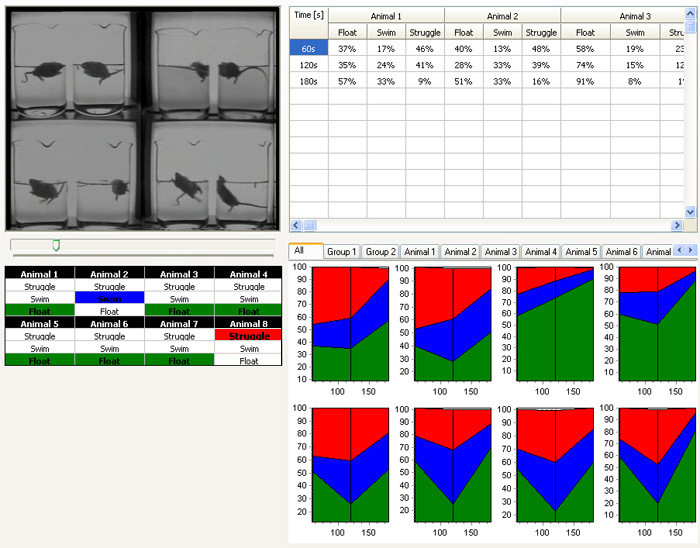 Underneath the video image, the currently detected behaviors are presented in real time for each single animal. On the right side the summarized data are shown in a table and in diagrams, again for each single animal and also for the animal groups. The table and the diagrams are updated in dependence of the analysis interval selected in the configuration (in this example every 60 seconds). 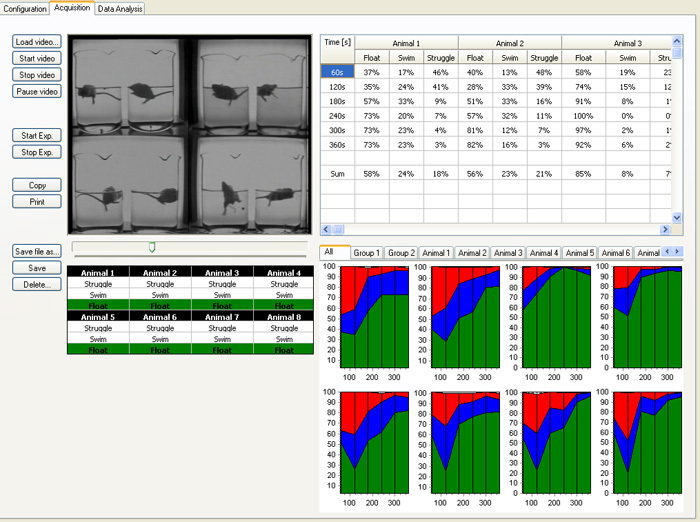 The table and the diagrams show the data of the entire experiment (360 seconds). In the table there is now also a row that shows the mean values for each behavior. All data and diagrams can be exported in various file formats.